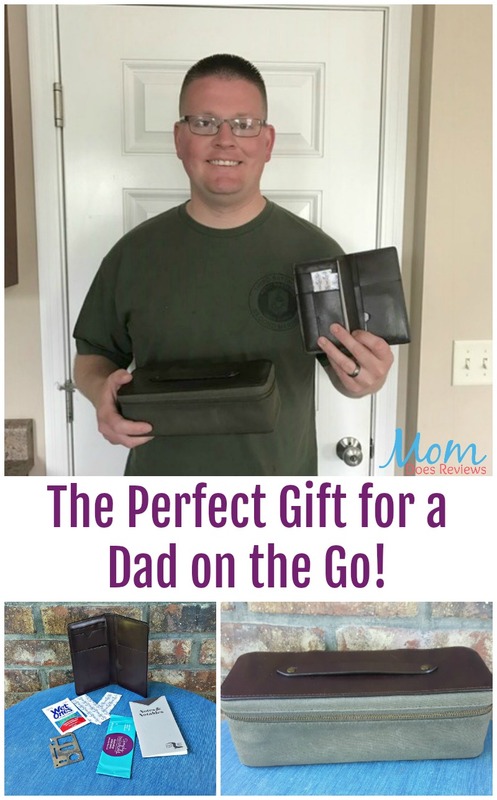 This Father’s Day Otter Pass has the perfect gift for a Dad on the go! Their Dopp Kit and Dad Wallet will keep them organized and prepared for anything. Masculine yet attractive, both of these will be a hit with the Dad’s on your shopping list. The inspiration for our brand? Simply put, we believe that every kid should have a secure, loving place to belong. As secure kids grow up, they spread the love they receive. Many fathers are already doing the intentional work of instilling this sense of hope, security, and connection in their children. We want Otter Pass products to make that role a little easier. Each high-quality product is painstakingly designed and made to last. We give dads the tools they need to stay present and engaged throughout their day. And when Otter Pass dads are able to be there for their families, the world becomes a kinder place, one kid at a time. This bag is perfect for Dad’s on the go. 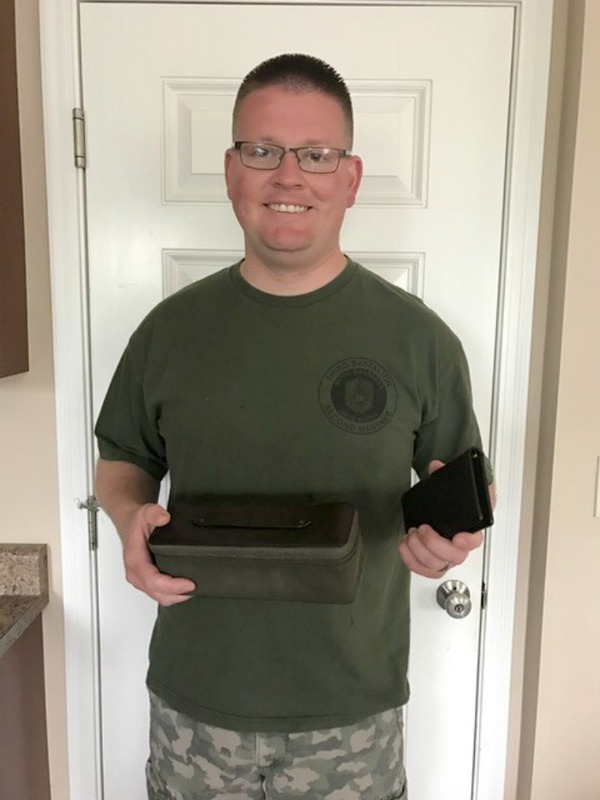 It is designed based on the World War II standard-issue military dopp kits and keeps everything needed in one convenient place. 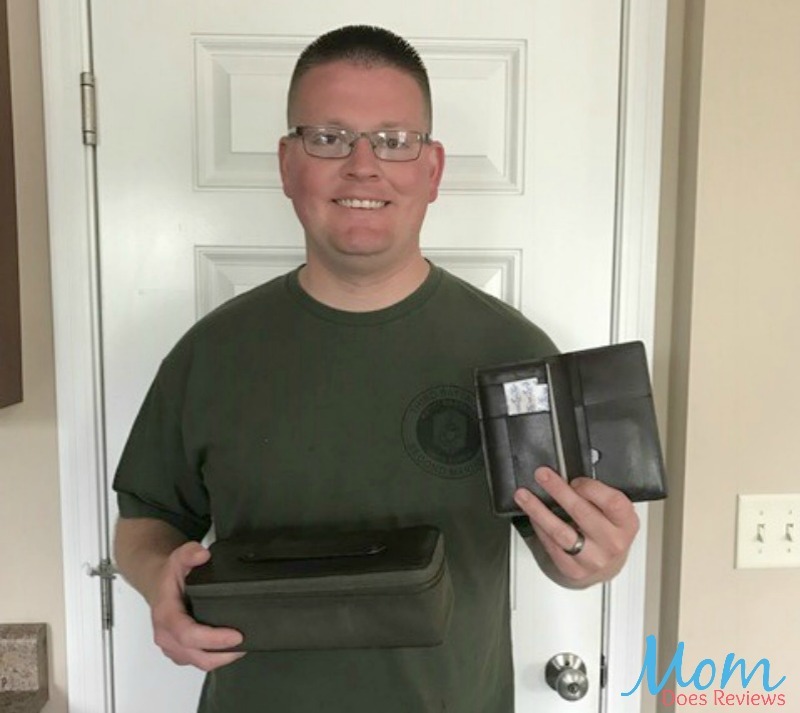 This wallet is the magic that Dad needs to handle those little emergencies like treating a scraped knee or making last minute hair repairs. Okay, I had to look up what a Dopp Kit was since I had never heard the term before. And since my husband was in the Navy for 22 years I figured he would know too. He said his was called his a ditty bag. They are very similar and perhaps because his service was from 1970 to 1992 things would have changed. No matter what you call yours, they were all patterned originally after a German leather-goods maker from Chicago. 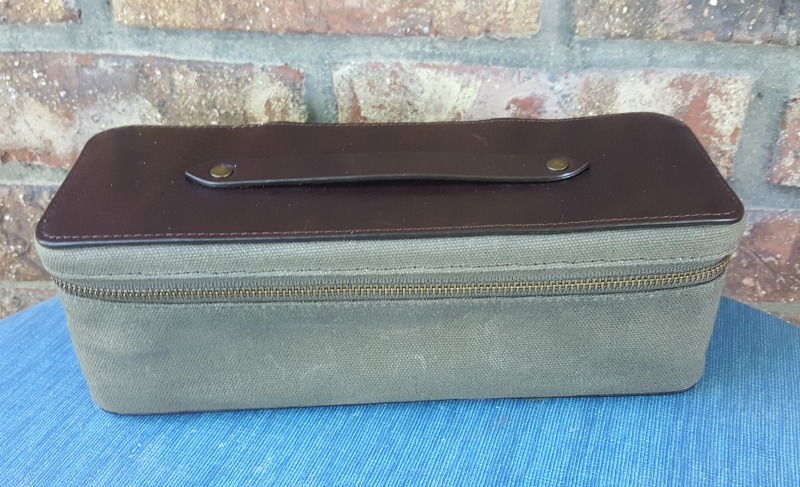 The Dopp kit was invented during the early 1900’s and were issued to all US Army GI’s during World War II. Named after the creator, the bags were called Dopps. Millions of these toiletry bags were given out during the war. Basically, a Dopp Kit is a small toiletry bag that can be used by both men and women to store their personal grooming supplies. Today they are used still as grooming bags when traveling but another awesome use of them is for the Dad on the go that needs to be prepared for those little emergencies while at the park or ball game. The Dopp kit is small enough to toss in a backpack yet large enough to keep the things needed within reach. From wipes, to juice or water bottles and band aids along with snacks; this is the bag for Dad’s heading out with the little ones. 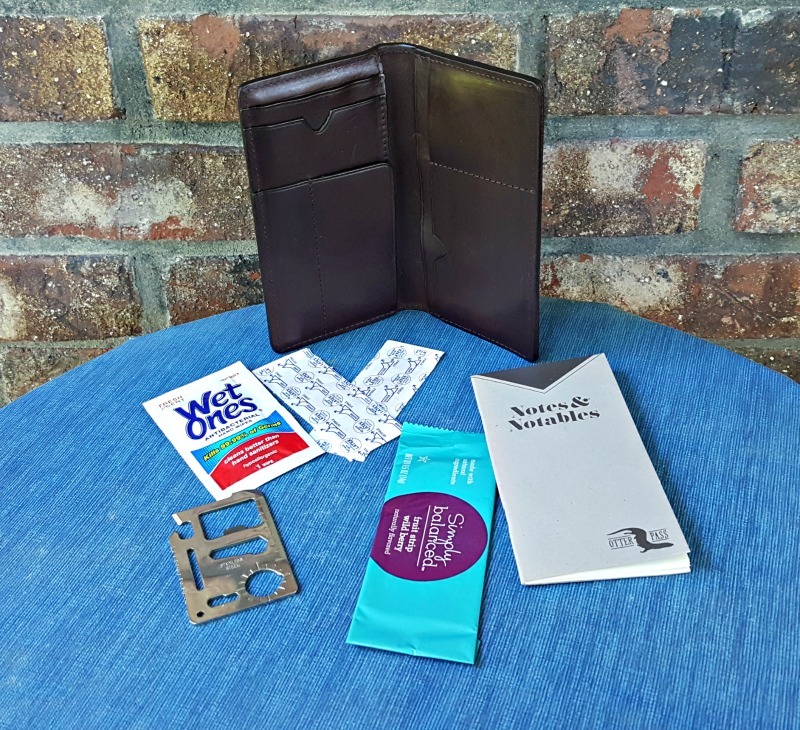 And for those unplanned little emergencies, the Dad Wallet should be in every Dad’s back pocket. It can be the one wallet needed that also has little pockets to keep items that can be found in any diaper bag. Band aids, hair clips, pony tail scrunchy, and of course wipes and fruit snacks. Now Dad doesn’t have to lug around a large diaper bag when he has his Dopp Kit and Dad Wallet. My son-in-law thought both products were great and he has them stocked and ready for the next time is on duty with the little ones. We’ve added Otter Pass to our 2018 Father’s Day Gift Guide! Check it out here!